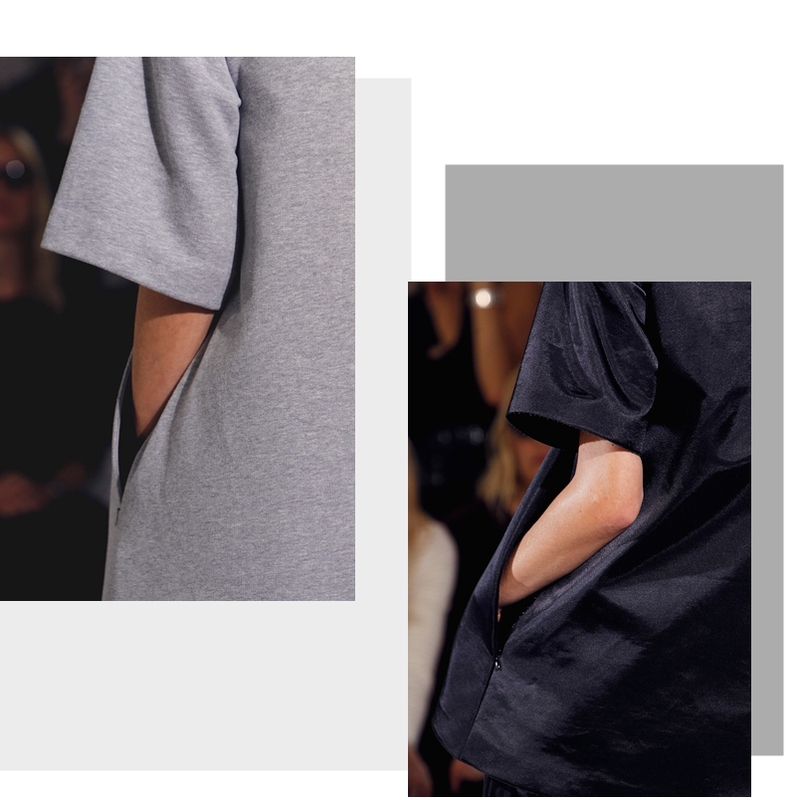 A Shirtgiela is a shirt with the Margiela spirit. bow. lol. i hope my fondness with coining terms wouldn't qualify as a #cybercrime. We know what a shirt is! It has 4 holes. It is basic. It's for the mundane! 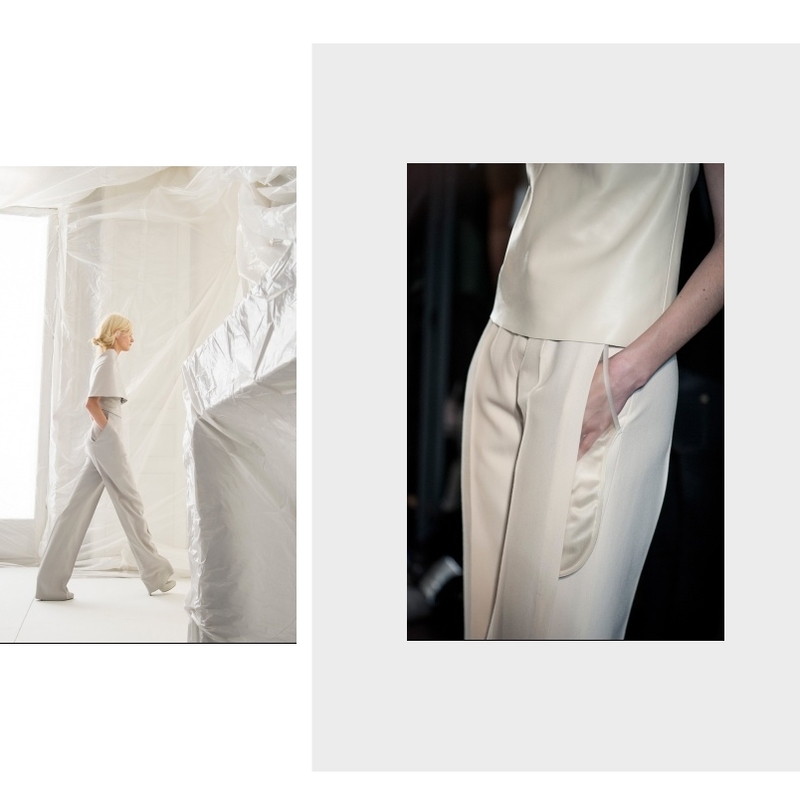 But Margiela's strongest looks (for me) were the restrained dramatization of a basic clothing. Here, you'll see an exaggerated "balakang" or hip on a shirt dress as if disrupting the conventional framework and purity of the grey shirt. Then there's the half shirt half sheer (reminiscent of our Tent shirt from Paradigm Shift 2 seasons ago). I love the blank canvases for this season. The carpeted prints and the discreet schizophrenic sensbilities of the team wowed many but their signature unadulterated and cerebral minimalism can be 10x surprising as well. The shoes were brilliant! 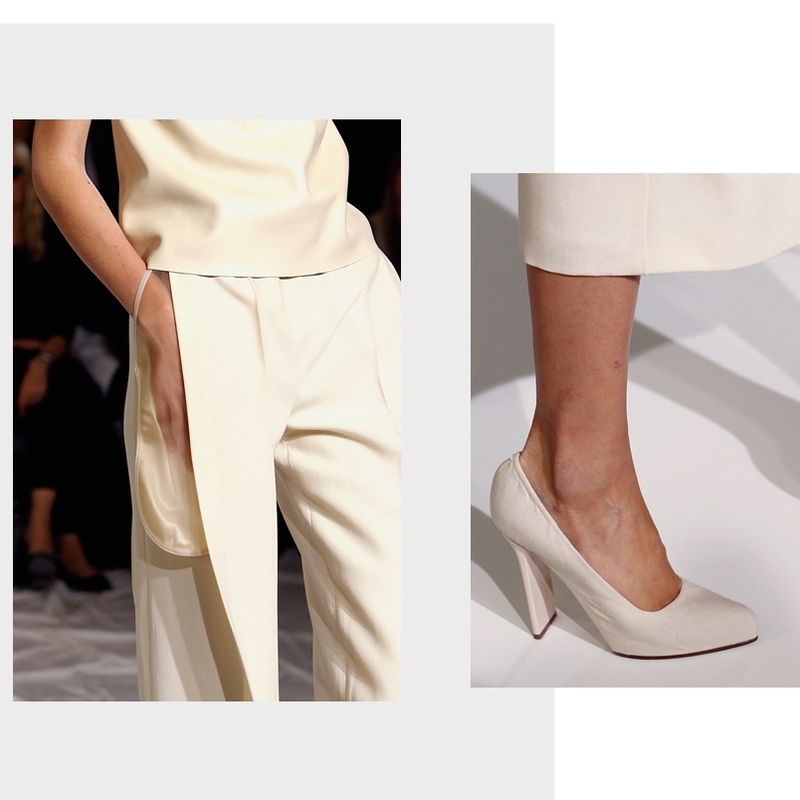 Not that novelty but the parallelism of a slim heel versus the sleek body is a fresh move from him. We are aware howMargiela's shoes before were intended to create confusion and wham as if it's a global issue. 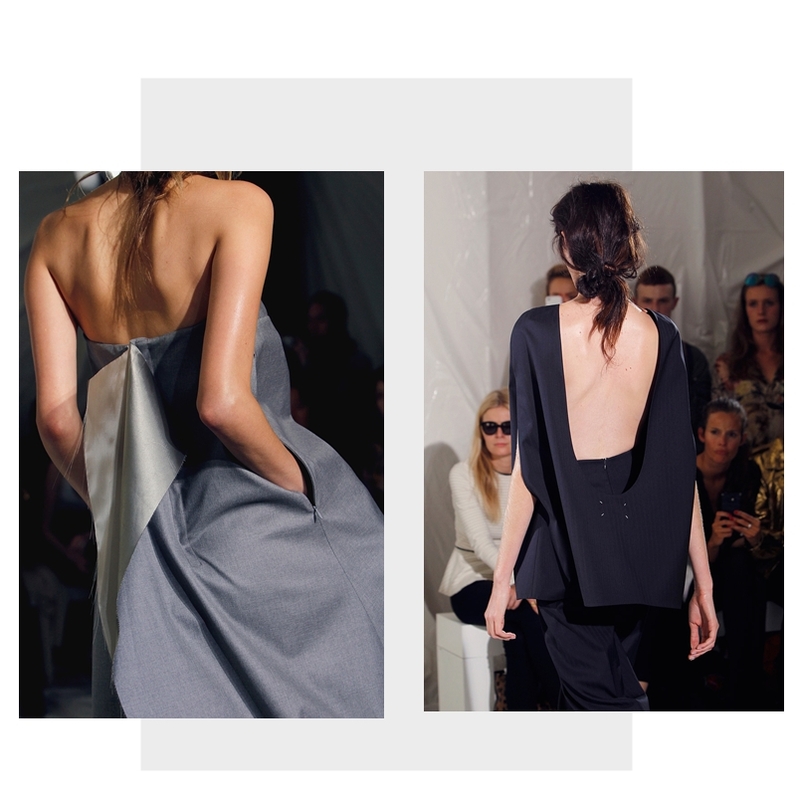 This certain criss cross bandeau sensibility was also seen at Balenciaga's S/S 13.. This is so hot!! they always use no prints, no pattern but the most dramatic designs from the simplest black and white.